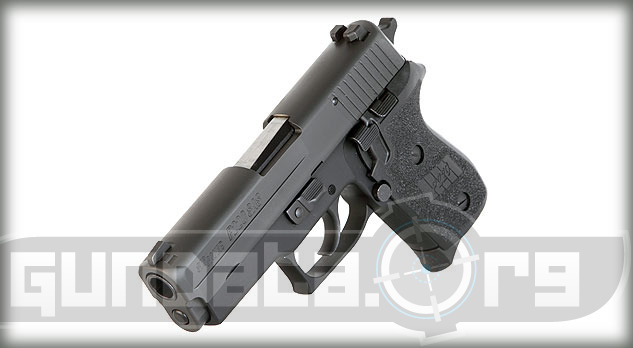 The Sig Sauer P220 Compact SAS Generation 2 is a medium frame, semi-automatic handgun, designed for conceal and carry purposes. 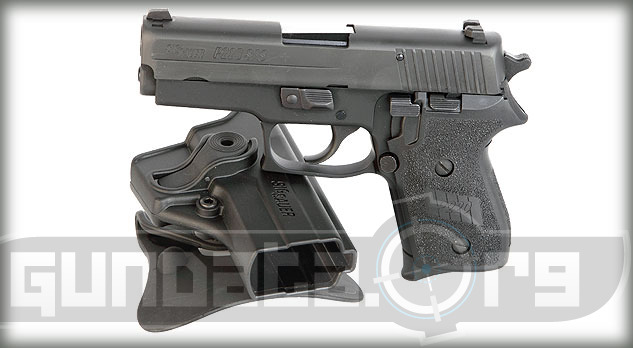 It has a smaller frame than other P220 models to give it a lower profile, and does not have the beavertail frame that some models include to keep it from protruding under shoulder holsters. The frame and slide has also been melt treated to prevent snag on clothing or other items when the handgun is being pulled out of concealment. 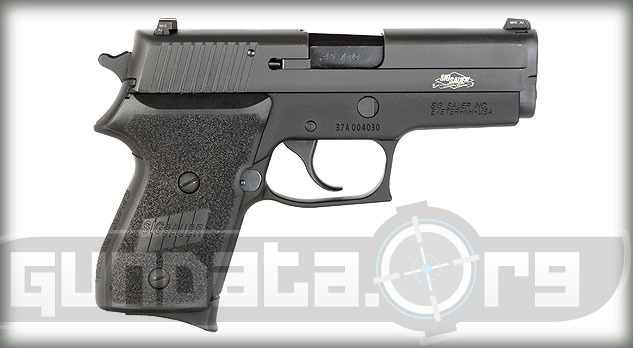 It has the 4-point safety system that includes, a decocking lever, an automatic firing pin safety bloc, safety intercept notch, along with a trigger bar disconnector. 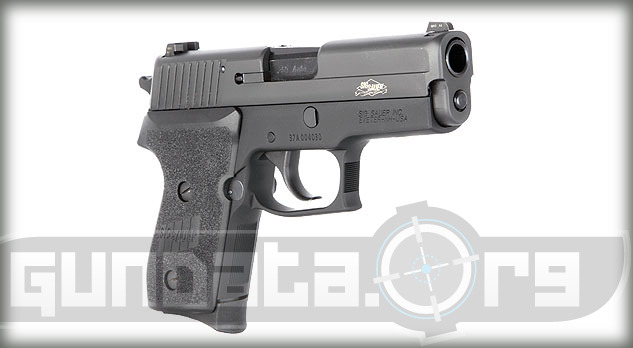 The overall length of the P220 Compact SAS Gen 2 is 7.1-inches, with a height of 5-inches, and a barrel length of 3.9-inches. The frame material is made from aluminum, with a black hard coat anodized frame. The slide material is made from stainless steel, with a black Nitron finish (Natural Stainless finish for the Two-Tone). The grips are black polymer with front strap serrations. It holds a 6-round single stack clip of .45 ACP ammunition, along with the option to hold an 8-round single stack extended magazine. The sights are the 3 white dot SigLite Night sights. It has a double and single action trigger, with a pull of approximately 4.4-pounds (Single) and 10-pounds (Double).